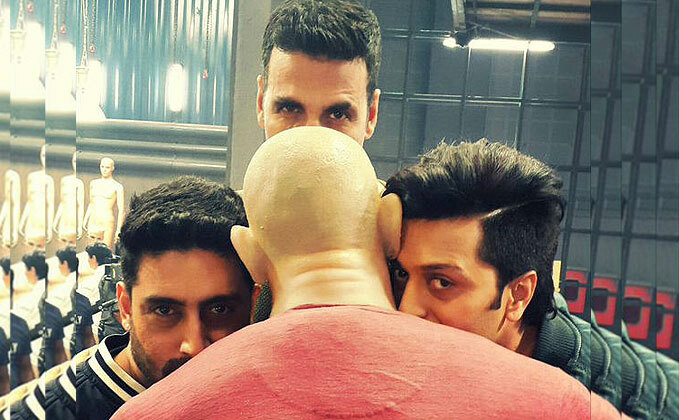 Band of boys of Housefull are back to serve some brand new dose of comedy. Housefull 3 is replete with multiple wisecracks, physical comedy and some visually delightful scenic shots of London not to forget the three stunning divas Lisa Haydon, Nargis Fakhri and Jacqueline Fernandez. Housefull 3 retains Akshay Kumar (who makes a swashbuckling entry hanging from a flying helicopter), Riteish Deshmukh, Boman Irani and Chunkey Pandey. Abhishek Bachchan is the new addition to the club. While some dialogues do sound genuinely funny, there are certain sequences which have been done to death a zillion times. Nevertheless, given Akshay’s penchant for choosing the right scripts one can certainly expect to see some novel stuff from House full 3. Adding zing to the movie is the inimitable Jackie Shroff who was in his elements at the trailer launch.